This past Tuesday was the Lunar New Year. I'd seen photos and footage from years past and knew to be in Chinatown with a camera in hand. It took a bit to work through the footage and tame those 8k R3D files with proxies, but I'm diggin' what I got. One of the big draws to Tuesday's New Year Firecracker Ceremony and Cultural Festival event was the something like 600k firecrackers being set off. With how the event space was shaped and laid out I was never in a good spot to see them go off. What I ended up with was a ton of people watching the event plus a good deal of paper confetti flying around. I went out thinking I'd get some footage of the dragon dances, but there actually wasn't much of that. In the end I worked towards making a somewhat whimsical cut with the confetti paper playing as big a role as the people watching it fly around. MUSIC: Kabul To Paramaribo by Clap! Clap! The first time I went to China was around this time of year in 2007. A Christian non-profit based in Tulsa hired me out to help film some of the work they were doing there. It's been a minute since then, but I absolutely have some fantastic memories from that two week trip. Bonus points for the BTS photo of me from that trip DEEP into my Euro-mullet days. It wasn't my first time overseas, but China was my first experience being in a non-western country. I remember kinda tripping out when we got there because it was late-January and they were prepping for the upcoming "New Year." We'd already done our thing back in the west and the early 20s me had zero clue about a lunar calendar. Honestly the later 30s me is still on the western end of just reading a few Wikipedia entries about a calendar based on moon cycles and the Chinese zodiac. I'm diggin' the fact though that both 2007 and 2019 are Years of the Pig. 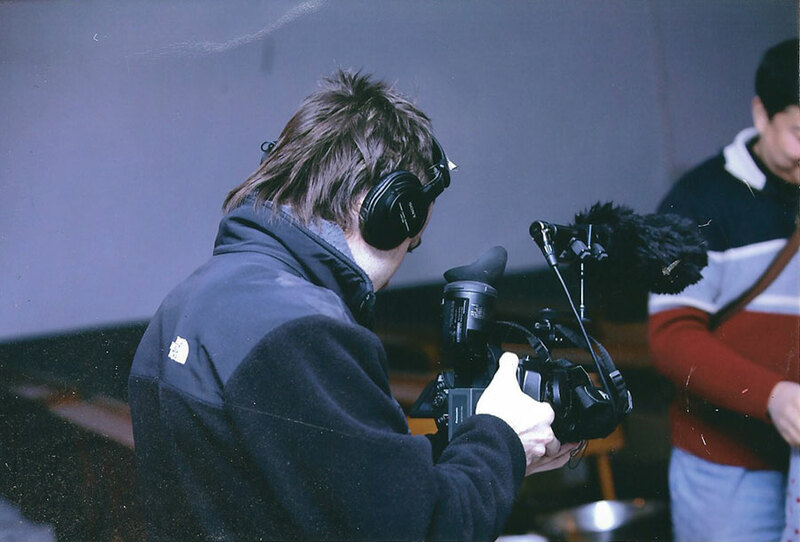 Oh, and let's not talk about the image and resolution difference between the Panasonic DVX100b I was rockin' back then and my RED Weapon Helium now. 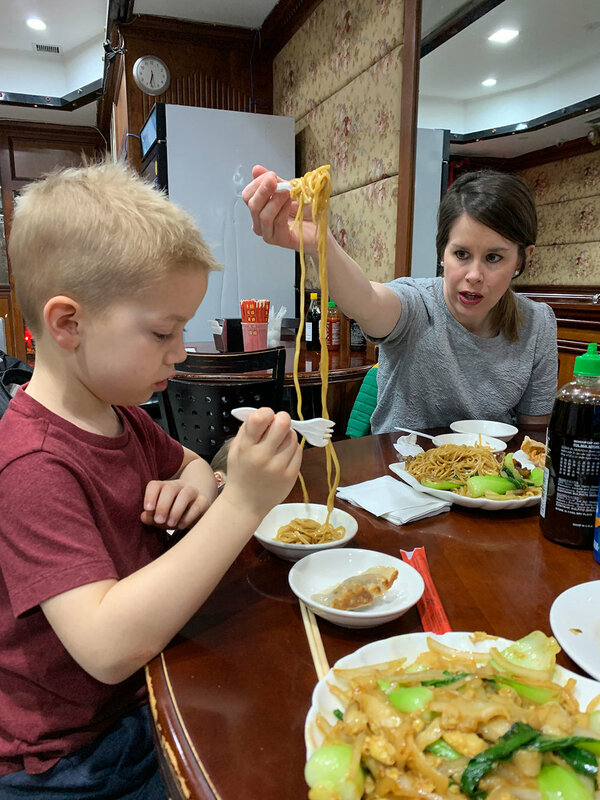 When I first moved to NYC, Yelp sent me to Chinatown for hand pulled noodles. Since then I've gone out of my way to spend time in that part of town and drag my family along when I can. 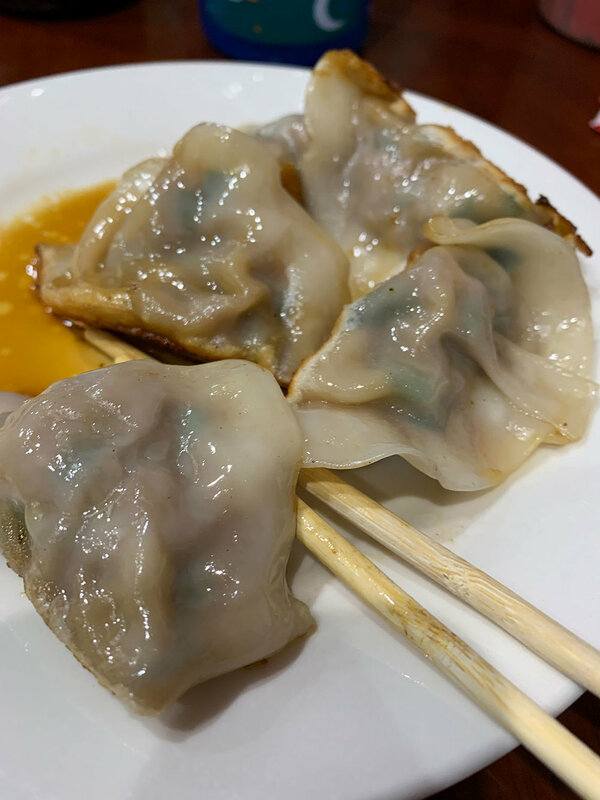 I'd read something about how you're supposed to eat dumplings and noodles during the holiday for good luck, so obviously dinner had us taking the train back to Chinatown. 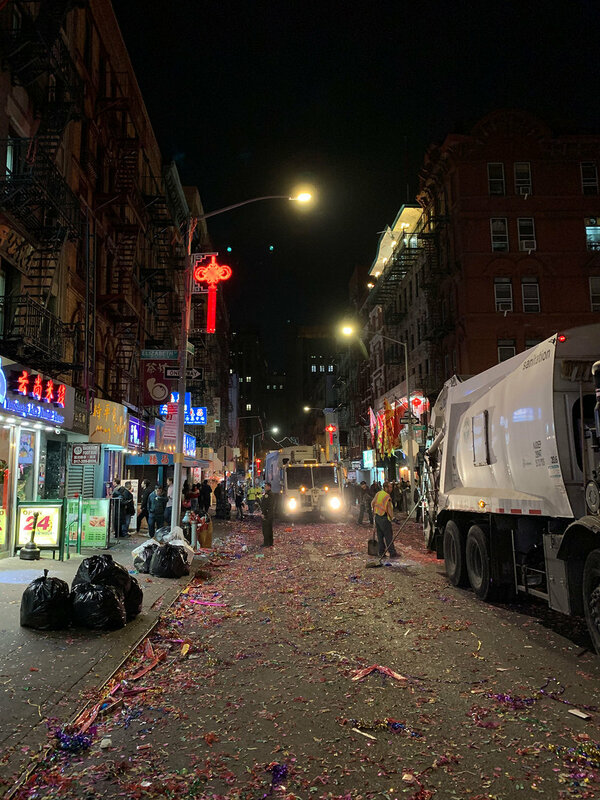 Afterwards we waded through the closed and confettied streets where events that night were being wrapping up. 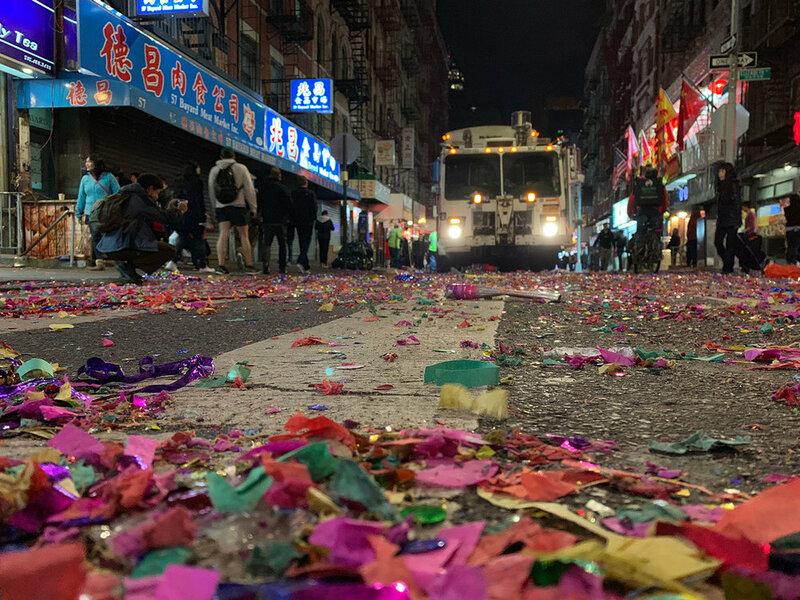 You know it's a good party when it takes a fleet of garbage trucks and an army sanitation workers wielding push brooms and leaf blowers to clean up.